Having sold my last AR – a LMT MRP – about two years ago, I was a little out of touch with what was available in the AR world even though I’d been fortunate enough to attend SHOT 2013 which gave me an opportunity to handle lots and lots of cool Black Rifle stuff. As much as I would have liked to, I decided that I couldn’t really justify a top-end and top-priced AR model again but neither did I want to go with an entry level offering so I was looking at the very-crowded mid-level segment of the market. 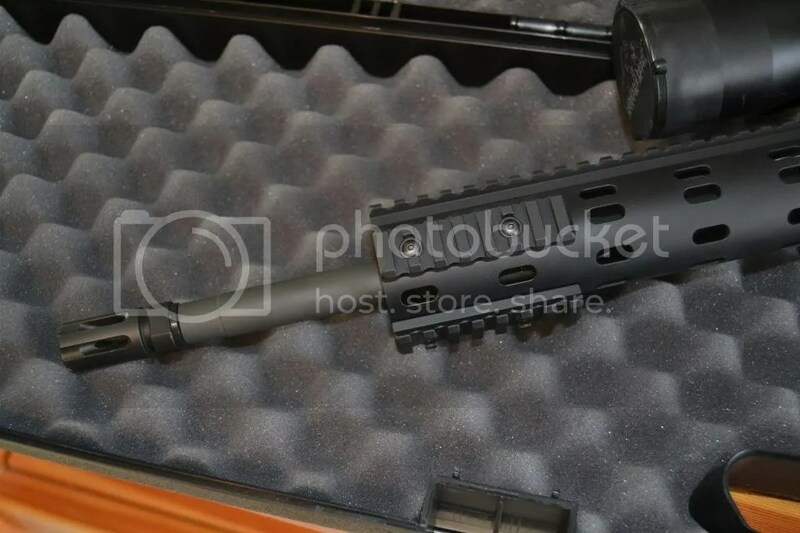 Ultimately and after a bit of internet shopping, I decided to buy a Daniel Defense rifle. I chose DD because of it’s great reputation and the fact I’d handled one or two at SHOT and therefore had a good idea of fit and finish, and the price point of these rifles which I thought represented really good value. Having decided on DD, the next step was to choose a model. At first I was confused by the DD model line-up but soon realised that the nomenclature used by DD means that essentially all the 5.56 M4’s are the same with model variances V1 thru V7 referring to sights, rails and barrel weights only. My inner ‘Mall Ninja’ was attracted the Mk18 short-barreled (10″) version because “that’s what they use” but the more practical side took over and I went instead with the V7 as I have no need for full rails and like the somewhat cleaner look afforded by this particular model. 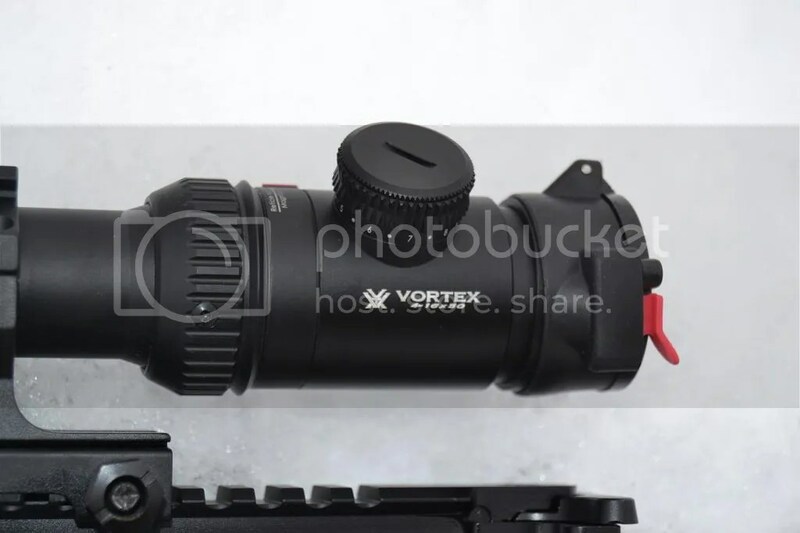 At it happens, Wolverine Supplies had a special combo deal on a DDM4V7 and a Vortex Viper PST 4-16×50 – now I’m not a big fan of Vortex stuff and have written scope reviews in which I said that I think they are somewhat overrated. This time however I thought I’d give Vortex a chance and figured if I didn’t like the scope there are enough Vortex fans out there that reselling it wouldn’t be an issue. The shopping experience with Wolverine was, as always, very good. I made a phone call to order the rifle combo and one or two small extras like a single point sling, gave my credit card # and that was that. As a bonus, the deal also came with five extra steel E-Lander 5/30 mags and while I have a number of LAR15 and P-Mags from my last venture into the AR platform, free mags are always a good deal and I was pleased to get them. First impressions of anything are important, and I was pleased to see that DD included a hard plastic case for shipment and transportation. Not the greatest rifle case but a little thing that, to my mind, says something about the manufacturers level of customer service. Upon careful examination of the rifle itself I was certainly not disappointed: fit and finish were excellent and that goes a long way with me. I am quite picky, and have been known to write critical comments where I have been less than impressed but, in all honesty, I can’t say anything bad about the build quality of this product. Upper and lower fit perfectly with not a lick of play between them and the action cycled smoothly ( unlike some I’ve heard about that are ‘gritty’ to start with ) and the trigger was perfectly fine for a factory AR trigger – now please don’t misunderstand me; this trigger is not a Jewel or anything remotely similar but, in my view, it is quite acceptable for a military-style carbine. 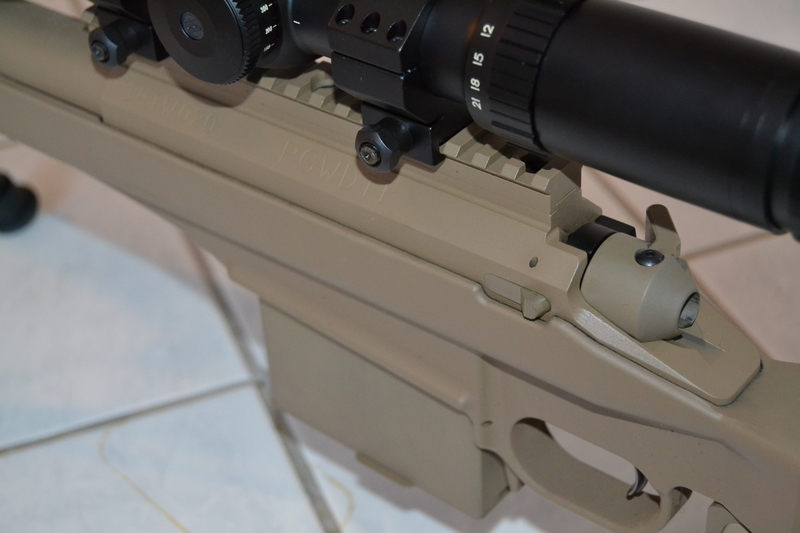 The rifle comes with the Magpul MOE stock which, while quite sufficient for my needs, I decided to replace. I had a B5 Sopmod on my LMT that I liked but this time I went with the Magpul ACS simply because it was easy to buy here in Canada (Wolverine again). This wasn’t an essential upgrade at all, just more of a personal preference thing. The as-supplied handgrip was one thing that I wasn’t such a fan of – for sure it is OK but it isn’t the most comfortable for me, so an Ergo grip – which I’ve previously used on AR’s – was immediately ordered and installed as a replacement. The modular float rail is certainly more comfortable and lighter than other, more bulky, rails and I’m pleased I went with this type of railing system as anything heavier would in my view upset the natural balance of the rifle. As it is the model is just a wee bit nose heavy for my taste but that’s a very minor complaint and I’d bet money that a build with a 14.5 rather than 16″ barrel would be just perfect for daily duty carry or use. I also think that replacing the MOE stock with the slightly heavier ACS may have actually evened things out – so small was the perceived imbalance. The supplied and the bonus E-Lander mags all fit fine and also dropped freely as did the PMags I’ve dug out of storage. Actually the E-Landers – which I’d never heard of before- looked to be quite good magazines though I did end up selling them simply because I prefer polymer mags over steel ones. 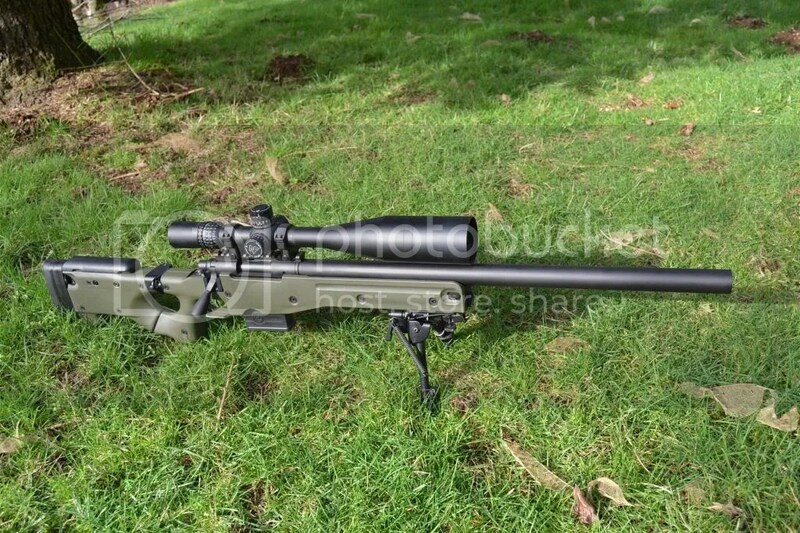 As this was a combo purchase, I ought to comment upon the Vortex scope the rifle came with: As mentioned above, this is the 4-15×50 Viper PST model and it is second focal plane which I much, much prefer. 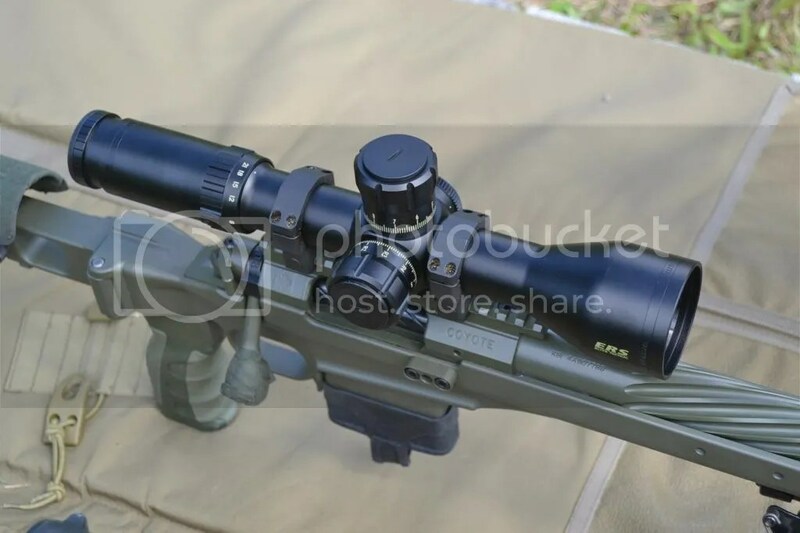 It is a Mil/Mil scope which while not new to me, isn’t my preferred choice as I am a MOA man but Mil is easy enough to use and the important thing is to have matching turrets whichever way you go. 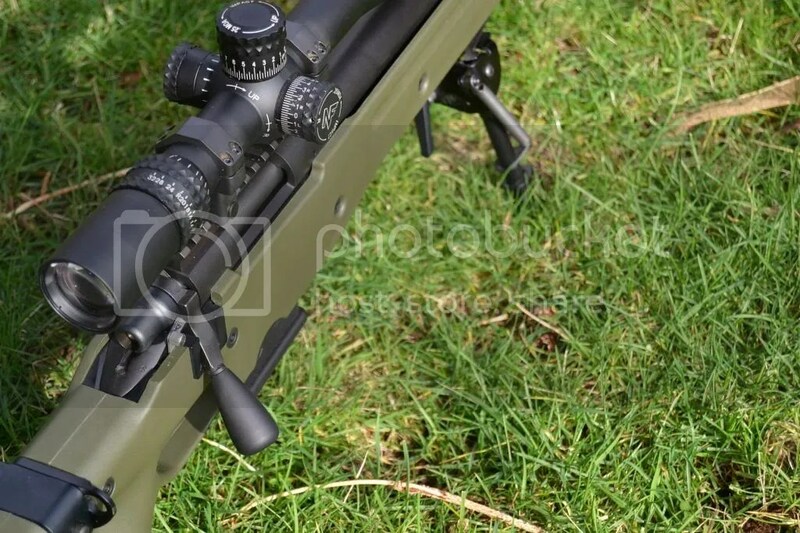 Overall, this is quite a nice scope – the glass is clear and other than having a reticule that is a bit ‘busy’ this isn’t a bad piece of equipment. The controls are easy to operate and give the user a good feel and , most importantly, are repeatable – something that can’t be taken for granted no matter how much one pays for glass. I think the list on the Viper PST is around a thousand bucks which puts it in contention with Sightron Siii and some other good scopes. Any scope going up against the Siii at the same price point has chosen a tough row to hoe but the PST looks to be up to the challenge. 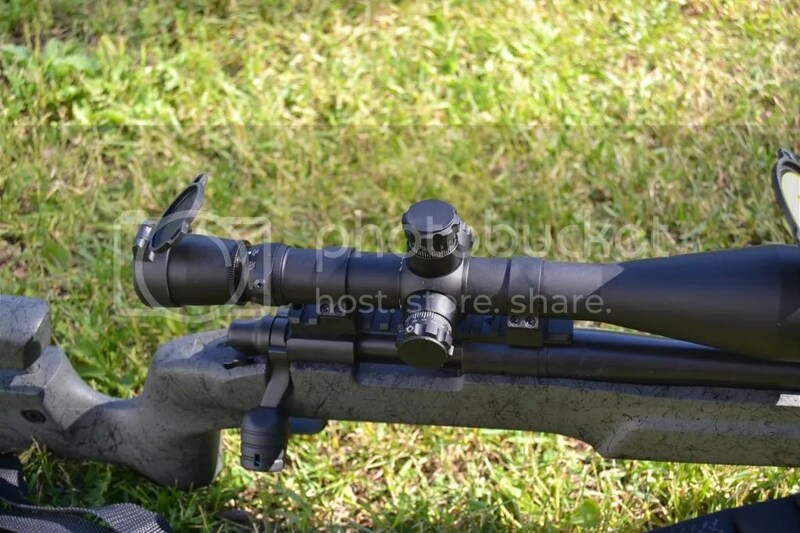 While the scope looks good on the DDM4 and is easily good enough for my needs I would, were I planning to be using this AR a lot, switch it out for my NF NXS 5.5-22×50. Not a fair comparison of scopes but this isn’t really a scope review and I’m just stating what I’d do if I planned to spend a lot of time behind this rifle shooting at any meaningful distance. 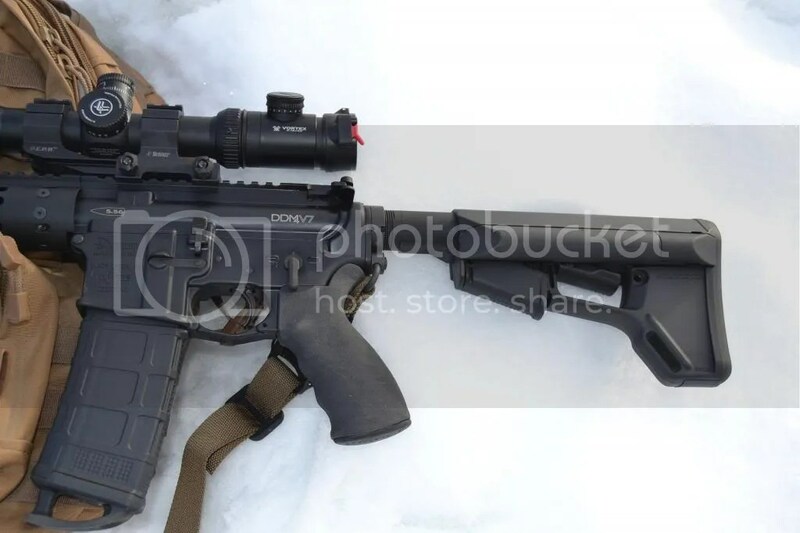 Since this is a ‘range use only’ toy, what I will do for fun is to put a clone EoTech on this rifle – I say I will put on a clone as I can’t afford to spend the $5-600 on a real EoTech holographic sight. While the $50 clone may or may not work properly at the range ( who cares ) I don’t recommend clone optics for any rifle used for anything other than range plinking and they certainly shouldn’t be thought of as a substitute for the real thing. 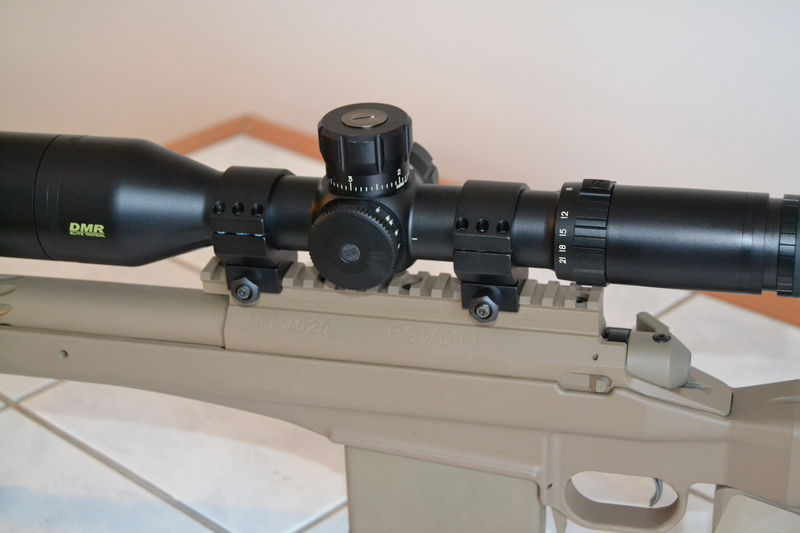 Back to the combo as purchased, the scope is joined to the rifle by the Burris P.E.P.R one piece mount. I hadn’t used this mount before but so far I like it, it puts the scope where I want it to be and seems a very solid piece of kit. Working through three boxes of S&B 55g FMJ at the local range, the rifle worked without a flaw. 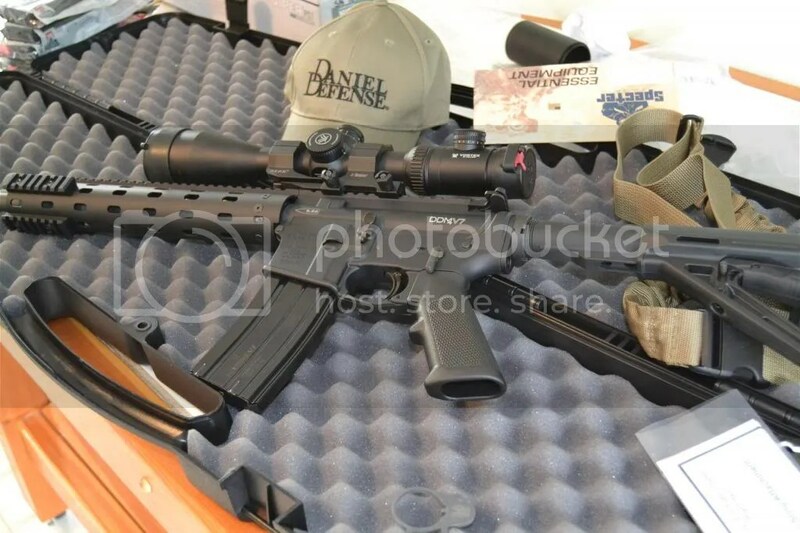 While AR’s can be very accurate, sub-moa, rifles when properly configured and in the right hands, I feel that a rifle like this is more about making hits than making nice tight groups. If I need to do the latter I have a number of quality competition-ready bolt guns that I can turn to so, at least for me, the AR is about having some fun and yet still being able to make decent hits on a target not random shotgun-spread holes. 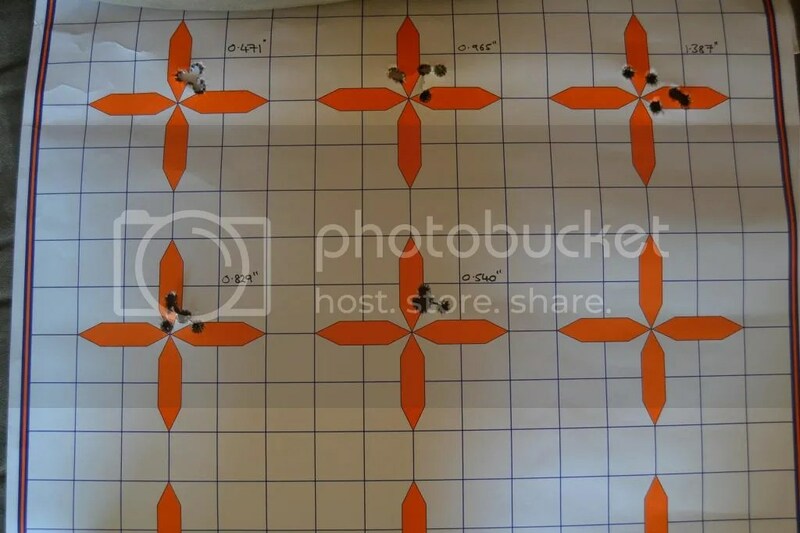 With the S&B 55g ammo -which isn’t by any means a match grade round – most 5 shot groups came in at 100 m with accuracy around 2.0 MOA which I was fine with. I suspect a heavier bullet would work better in the 1:7 twist barrel and I have lots of 75g AMAX which I can load up for this gun as well as plenty of 69g SMK’s which are also proven performers. I suspect that, for me, accuracy will end up being around 1.5 MOA with proper loads with an occasional one or sub grouping to make me smile. 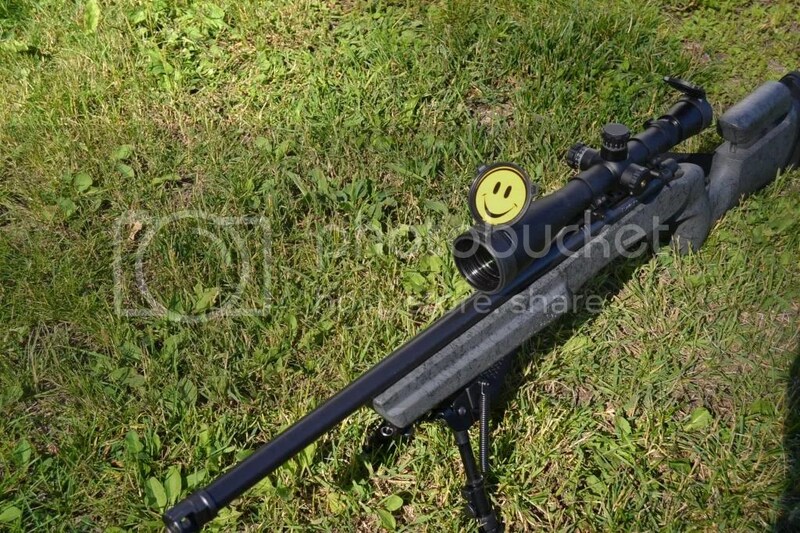 Either way the accuracy – for this type of rifle – will suit me just fine. Overall, I am very happy with my purchase. The rifle is more than I expected at the price point and appears to be as well made and finished as my old, beloved, LMT. The Viper PST has surprised me a bit and looks to be a good scope – perhaps not good enough to completely change my views on Vortex but moving them in the right direction. Are there some negatives about this rifle ? 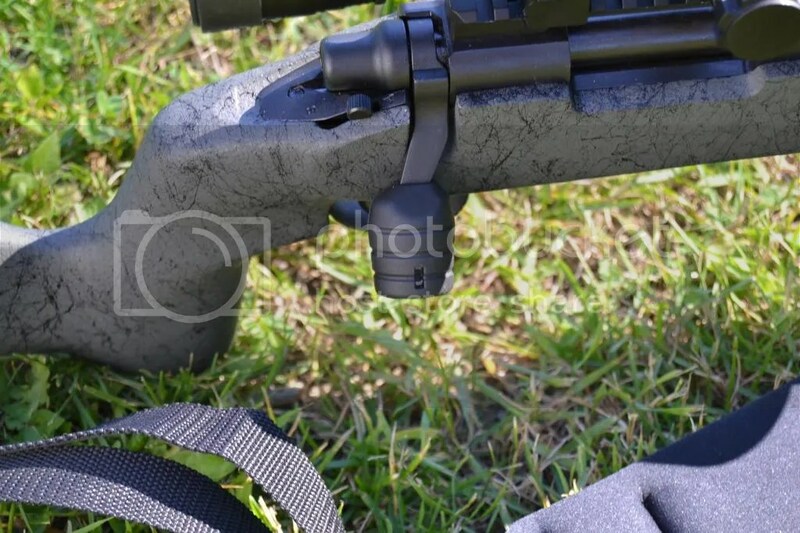 Well, with nearly every firearm there simply has to be some compromise of quality vs price but DD certainly manage this equation well and the only thing I can really point to was the as-supplied grip and even with that I am being a bit petty as there certainly wasn’t anything wrong with it. So, at days end, I have an AR back in the collection and it is one that I am really pleased to have. Last year at the Kamloops Frosty Farky F-Class match fellow Gun Nut friends of mine persuaded the dear other half to shoot day two of the match. Though she had only shot a few times and never past 100m she agreed to ‘have a go’. Using my ATRS Defiance and FGMM ammo she shot 66/75 and 69/75 and got the shooting bug which necessitated me getting her a rifle of her own. I had a Remington SPS in .223 which provided the donor action and Sean at North Shore Barrels (NSB) spun on a new match grade barrel, installed a Jewel trigger, replaced an ugly tactical bolt knob with a better one, trued the action and cerakoted the metalwork. 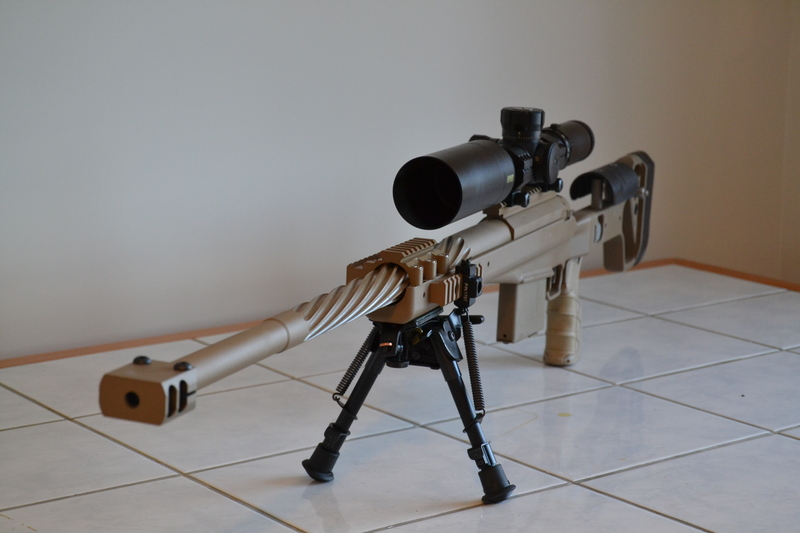 Upon the rifle’s return I dropped it into a spare AICS 2.0, put on a Harris 6-9 S-type bipod and mounted a NF NXS 8-32×56. While NSB had a number of barrels in stock I really wanted the fattest barrel that the AICS could accomodate and so the work took a bit longer than expected since the barrel had to be sourced but eventually the barrel I selected arrived – a Broughton 5c 1:7 twist that looks more like an axle than a rifle barrel and is 1.2″ at the muzzle – and I must say I do like it. Makes for a heavy ( just over 18 Lbs total weight ) rig but this is a range not a walking gun. Of course the Jewel triggers are always a joy to use and represent a huge improvement over the stock factory trigger but a little fitting is required to ensure that the safety works in the AICS and that is a small job with a Dremmel tool that is on my to-do list. NSB appear to have done a very nice job and the finishing looks excellent. Sean kept me fully informed of progress which is something I appreciated as while I know that delays can ( will ) occur in a rifle build I’d much rather be informed than being kept in the dark about what’s happening or not happening. While my use of this rifle will likely be limited to load development I’m really happy that what I pictured in my mind when deciding to have the SPS remodeled worked out and I’m also pleased to be able to report that so far the rifle shows great promise – producing groups just outside an inch at 300 yards with Berger 80g VLD’s over 24.4g of Varget. I will be experimenting further with some other bullets/loads but I think another genuine half-MOA rifle has been added to the collection. A while back I traded a M14 shorty for a bone-stock and hardly used Remington AAC-SD. I was happy to make the trade since my LRB is the go-to M14-type rifle and, while I have lots of bolt guns, I always have a soft spot from the offerings from Big Green and the bed-wetting over the tort lawyer inspired trigger recall didn’t worry me one bit. While I’d owned SPS’ before – at least until they got made into custom rifles – this rifle happened to be my first AAC-SD and I figured that while the barrel was a little heavy for a hunter the weight gained by thickness was offset by the reduced, 20″, length so a spare hunting rifle it was going to be and I thought no more of it. 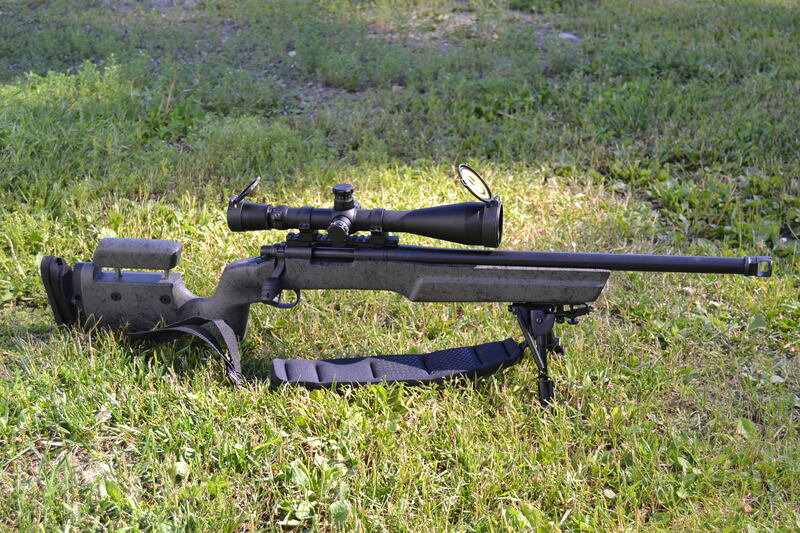 Shortly after the decision to set aside the AAC-SD was made another trade occurred which changed my plans – I traded away a very nice Savage 10FP tactical package for a Ruger Gunsite Scout.Well, actually, the Ruger Scout isn’t the Gunsite model as it has the 18″ rather than 16″ barrel but that’s not important – what was important about this trade is that it got me thinking that the Ruger ( with, of course, a hunting-legal five round magazine ) would be a much, much better choice for a hunter over the AAC-SD.So, what to do with the Remington ? I am retired now so funds are more of an issue than before and I’ve also got lots of full custom rifles but I thought “I wonder what cosmetic and practical improvements I can make to this rifle to enhance its role as a tactical precision tool?”As I thought the issue through, I decided that I wouldn’t do anything which required sending the rifle off the property to a gunsmith and I wouldn’t go wild on the expense.With those decisions in mind I needed to ascertain if the Remington would shoot – if it failed that most basic of tests then all bets were off. 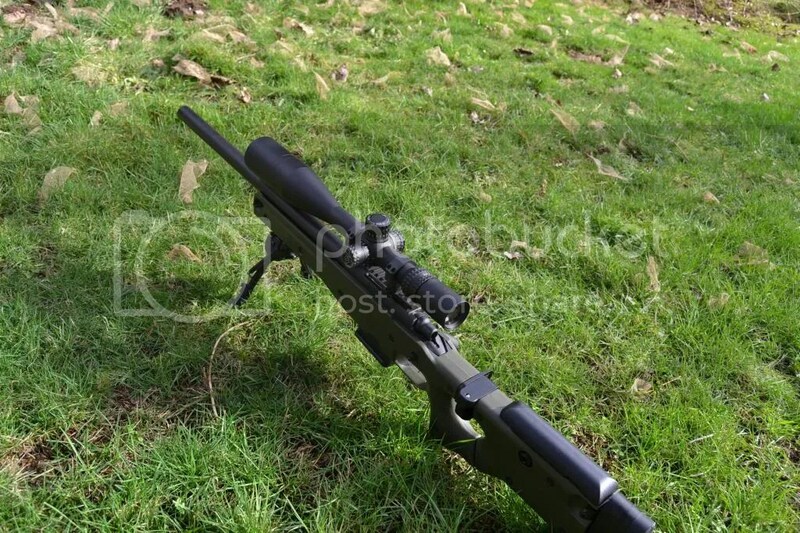 On a suitable day I took the bone stock Remington to the hayfield where I do most of my shooting and with the hunting scope I’d borrowed of my 30-06 (Zeiss Conquest 3-9) all mounted up I established a zero and shot for groups at 100, 200 and 300. I used FGMM in the 175 weight as I figure that if a .308 don’t shoot this stuff well then it ain’t shooting anything.Happily this rifle is a shooter – no half-MOA or anything like that but without too much effort I was getting groups at 100 and 200 which came in all around one minute with some a bit smaller and some a bit larger.At 300 the groups spread out a bit more but I am prepared to accept that failing was me – a 3-9 hunting scope, even one of the Zeiss quality, isn’t enough for my eyes to consistently use well enough to produce good results as the yardage increases. With an acceptable standard of accuracy established I went to work.The first thing than needed a change was the overall finish of the rifle; I understand that Remington builds this model to a price point but, at least to my eyes, I find the metal work to look rough so a complete strip down of the rifle was followed by the application of a new finish.Since cost was a consideration I went with a high heat paint finish out of a spray can.I know some people think this to be a ‘bubba’ thing to do but, in my opinion, repainting metalwork is a job that can be done poorly or you can take your time and do it properly; the beauty of being retired is that I have nothing but time and I was well-pleased with the end result and the appearance of the rifle is improved. The painting was my only concession to the rifles cosmetic appearance and with that being attended to it was on to real practical improvements.I’ve said before that I’m likely in a minority because I actually think the Remington X-Mark Pro trigger to be OK, but my view of the XMP doesn’t mean that I don’t like aftermarket triggers more and so the search for a suitable replacement began.Well, finding a R700 replacement trigger in the midst of the biggest trigger recall in history was a challenge but I did find a source for the very acceptable Timney 510 and so one was installed to replace the XMP. This is a straight forward job and simply involves gently taping ot some pins and carefully replacing the factory unit with the aftermarket one.RTFM and don’t loose any pieces and you will be fine. Next up was a replacement for the factory stock – while these factory stocks actually feel quite nice and have a sort of rubberised texture that I feel would be great in wet weather, I don’t feel that they are stiff enough for the best possible, consistent, accuracy.I had a very nice HS Precision stock on hand that was a take off from my Remington R5 but I find the HS Precision pistol grip about 1/4″ short for me and I also wanted something with a few more features. 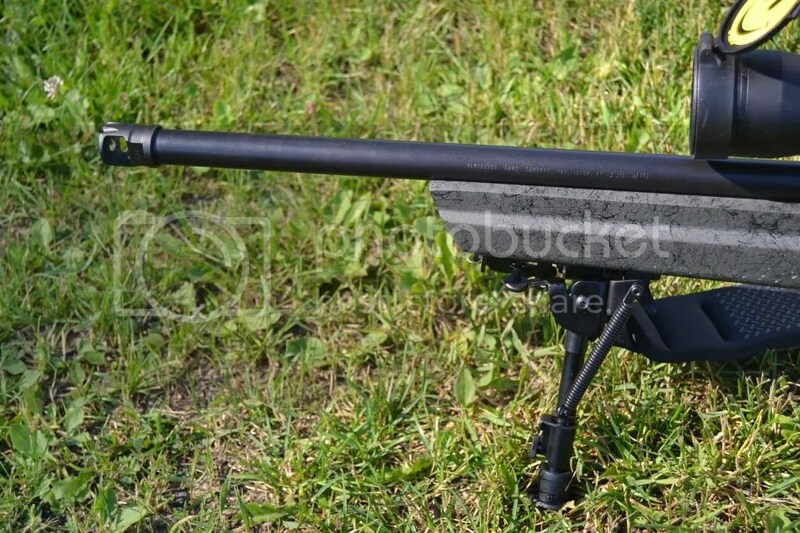 I have had a number of the very fine McMillian A5 stocks on custom rigs and really like them but they are pricey and I couldn’t spring for such a stock on a lower-end rifle like this so I settled on the Bell + Carlson version of the A5.Now I am not going to say that B+C stocks are as good as McMillian but I will say that they are every bit as god as HS Precision and represent a tremendous value being that they are about half the price of the McMillian.Just like the McM stock the B+C A5 has a full length bedding block and has two features that I think are better than the much more expensive McMillian; a better pistol grip for my hand and a milled-in Anschutz type rail.A fully adjustable stock and a properly adjustable comb ( rather than the fugly saddle ) round out the features. 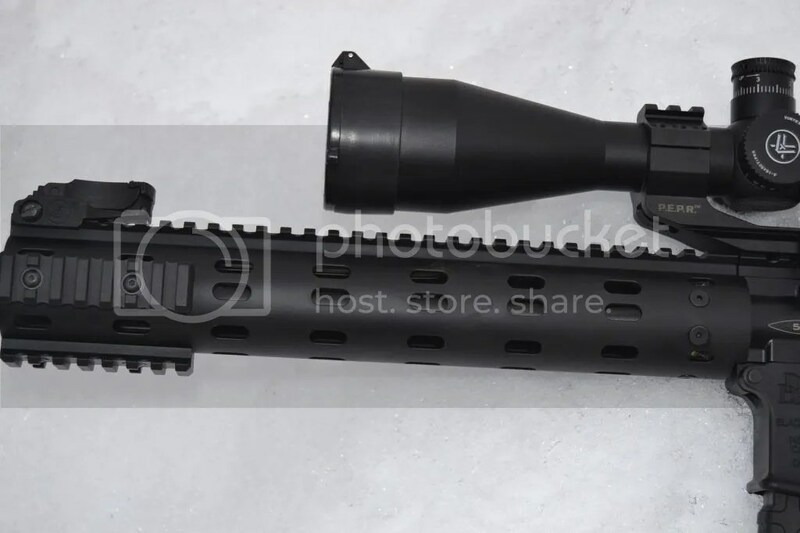 One interesting observation about the B+C tactical stocks is this: the M40 style has a barrel channel easily big enough to accommodate all the Remington profile barrels including the R5 – whereas the A5 stock would need to have the barrel channel hogged out a bit to achieve a fit for a R5.I found that a bit odd given that they come from the same manufacturer and I suppose it is no biggie since the work would be easy enough to do with a 1″ dowel wrapped in sandpaper but it’s good to know before making a purchase. So now that the rifle was newly triggered and properly bedded down into a quality stock there wasn’t too much more to do really but I do have a couple of pet peeves about rifles that I needed to address.Firstly, I personally like a tactical rifle to have a decent quality picatinny rail attached to the receiver and I like it to have at least a 20 MOA cant so that I have sme flexibility re my choice of optics.The AAC-SD came to my hands with a rail (I think they come from the factory so installed) but it looked to be 0 MOA and so off it came and a nice new Talley 20 MOA rail took its place.On a premier build I would have looked at NF or comparable but for this rifle I figured that the Talley was more than adequate.Next up on my list of peeves was the bolt knob – on a hunting rifle there is nothing whatsoever wrong with the stock Remington bolt knob and, quite honestly, for 99.9% of us there is nothing wrong with it for a tactical rifle either but, like I say, it is a pet peeve of mine.Since I wanted to avoid paying for work to be done and limited in what I can do myself I eschewed the traditional oversized bolt knobs and chose, instead, to go with the KSG replacement which is very handily carried by our friends at MDT.Beyond easy to install, fitting perfectly and looking good this was a great choice. Modern thinking suggests that a true tactical rifle simply must have a detachable mag system and when starting out on this adventure I planned to use one but I didn’t want to send the stock off for inletting and the only true drop in for the Bell and Carlson is the Wyatt system which I think it quite good but it uses proprietary single stack mags and the ten rounders are something like six inches long which, at least for me, will interfere with my prone positioning.So, with Wyatt off the table and not wanting to pay for inletting I decided to go the simplest route possible – leave the floorplate as it is because this rifle is never ever going to see competition as both my PGW Coyote and my Custom Remington/AICS rigs have full-on detachable mag systems with a number of spare mags so I’m well equipped in that department as it is. The final step in the transformation of this rifle was the addition of some decent glass.I’d picked up a Leupold 8.5-25×50 a while back and it was sort of an orphan scope for a while and so that worked perfectly for this project.Attached to the rail with a nice pair of Leupold 30mm QD rings I was good to go. Of course now it is complete I will be looking to trade it away for something else to pass the time. Maybe I really should go back to work ! A perfect storm of laziness and forgetfulness kept this review on my computer for longer than normal but, at last, it is ready for your perusal. 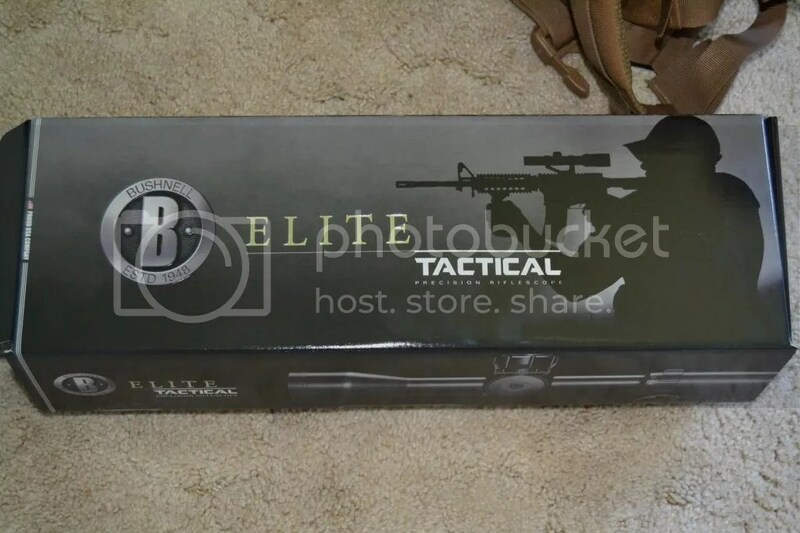 While it is my preference to only review items I actually own, this is one of those occasions where I’m reviewing a borrowed product – in this case the Bushnell Elite Tactical ERS 3.5-21×50 which was kindly supplied courtesy of Plain Sight Solutions out of Quesnel BC. 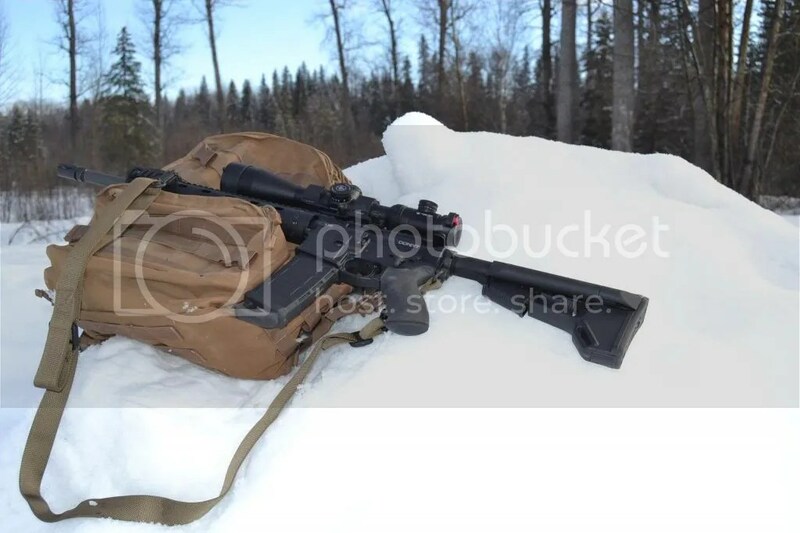 Some years ago I purchased a scope from Plain Sight but it wasn’t until I moved into the Quesnel area that I made the in-person acquaintance of Omer the man who owns and operates the company. Omer is a keen shooter who enjoys talking about all kinds of shooting stuff and it was during a discussion of scopes that I made it known that I am first and foremost a S+B fan with NF as a second choice. Without disagreeing with my scope preferences, Omer suggested I borrow one of the new(ish) Bushnell Tacticals to see what I thought. 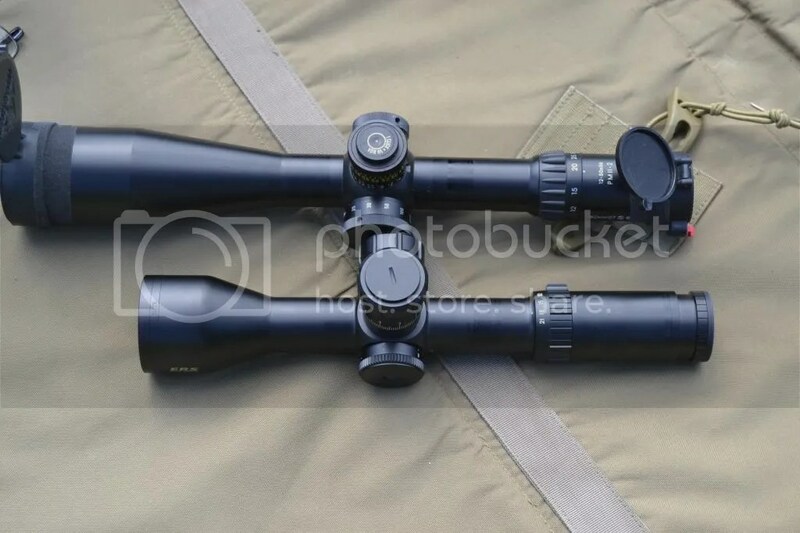 Now over the years I have had a few Bushnell scopes and I’ve been a particular fan of two of them – the old Elite 3200 fixed 10x and the old Elite 4200 6-24×50 Tactical and I think the only complaint I ever had with those two was that they had an overly thick reticule. However I have not been a fan of the Elite 6500 and when I owned one of them I thought, quite honestly, that the 4200 was the better scope. 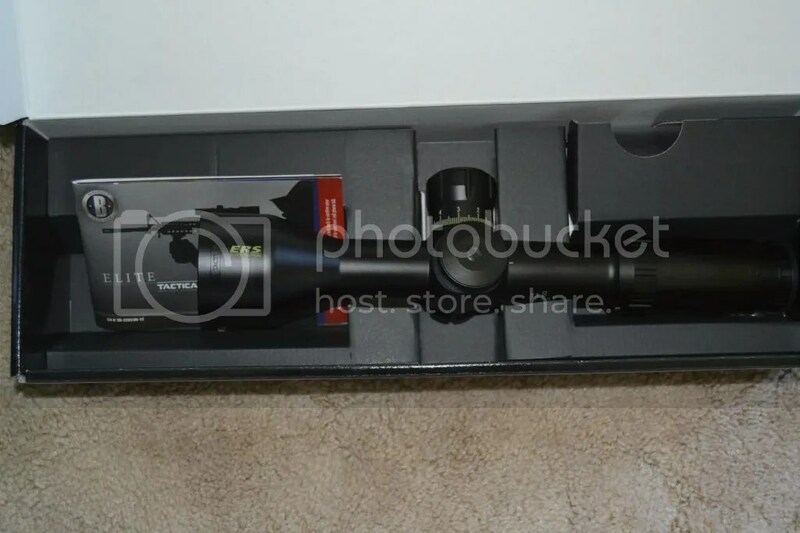 I also held a view that Bushnell scopes really were not high end but more middle of the road so when Omer mentioned the list price of the scope I was to review I really was surprised as it was right in the NF NXS ballpark. OK, so what did I walk away with to look at and comment upon ? I was given a choice and so I figured that I may as well pick the top of the line and chose the Bushnell Tactical ERS 3.5-21×50 with Front Focal Plane, a 34mm tube and .1 mil click values. A word about FFP vs SFP – I am a die-hard SFP guy; now one could be charitable and say it is because over 90% of my shooting, and 100% of my matches, is at known distance or one could be less kind and say that I am too old and stupid to learn something new – either way, it don’t matter as I am just disclosing my preference at the opening of a review. In the past a certain CGN member was dismissive of my reviews as being written for ‘enthusiasts’ – guilty as charged: I am a hobbist and competitive shooter I am not an ‘operator’, I shoot my guns I don’t ‘run’ them and certainly don’t ‘torture test’ stuff I worked hard to own. So if you are a JTF2 sniper or, as is more likely, simply think you are one then this post really isn’t for you. Optics experts can argue all day long about light transmission and such things and how each is best measured but for the purpose of this review (just like all my others ) the Human Eyeball Ver 1.0 as issued to me for my exclusive use well over 50 years ago was the only tool used to assess light transmission, colour, brightness etc. What my eye saw gets reported. For the shooting part of the review I mounted the Bushnell on my PGW Coyote and, after zeroing, all shots were taken on my property at an exact distance of 400 yards. I shot during the middle of the day and later, as light was fading. While Plain Sight kindly lent me the scope there were no strings attached about what I could say and there was no payment in cash or kind received – when I finished my assessment of the scope I put it back in the box and returned it. Price: Those readers who think Bushnell only make scopes sold in blister packaging at WalMart may need to sit down at this point as, while price will vary a bit, once all the tax is paid don’t expect much change out of $2K if you want one of these – now that is squarely in NF NXS territory but, just to keep it in perspective, that is still some $1500 less than a S+B PMii or a March! Fact of the matter is that today good glass isn’t especially expensive, but great glass really is pricey. I say that when glass exceeds somewhere around the $1K point it better start moving into the great category otherwise it rapidly becomes just overpriced good glass – and, yes, there really is a difference. Packaging/Instructions: To some it doesn’t matter, but for me I appreciate good packaging and this scope was nicely packaged in a sturdy box and came with well-written instructions in the real English language. No sunshade or accessories were provided however and no nice lens cloth was to be found either. Controls/Ergonomics: In my opinion there are two things that are critically important about controls – they have to be repeatable (any scope that fails this test simply cannot be relied upon) and they have to have a good ‘feel’. Perhaps the only criticism of my S+B scopes is that sometimes, and especially with gloves on, it easy to put on a few clicks to much in making a windage adjustment but not so with this Bushnell – the controls were easy and precise to use with good tactile feedback and, yes of course, it passed the box test. I also am pleased to say that the numbers on the turrets were easy for me to see as were the numbers on the magnification dial – these kind of things are important to me especially on a scope this pricey. What was more difficult for me to tell what revolution of the turret I was on when the turret was locked – sure, I could work it out but it wasn’t as clear to me as the DT Turret on the S+B (which turns bright yellow on the second revolution) or the turrets on my NF NXS. I know this sounds like I am being ‘picky’ but my at this price point it is fair to be demanding. Big plus for the 10 mils per revolution on this model as also for the zero stop feature. Magnification Range/Max Magnification: Well, as far as range of magnification one would give this scope full marks as 3.5-21 is pretty good but I felt this scope was missing something off the top end – of course, let me be clear, I am a paper puncher and therefore all else being equal the more magnification the better. 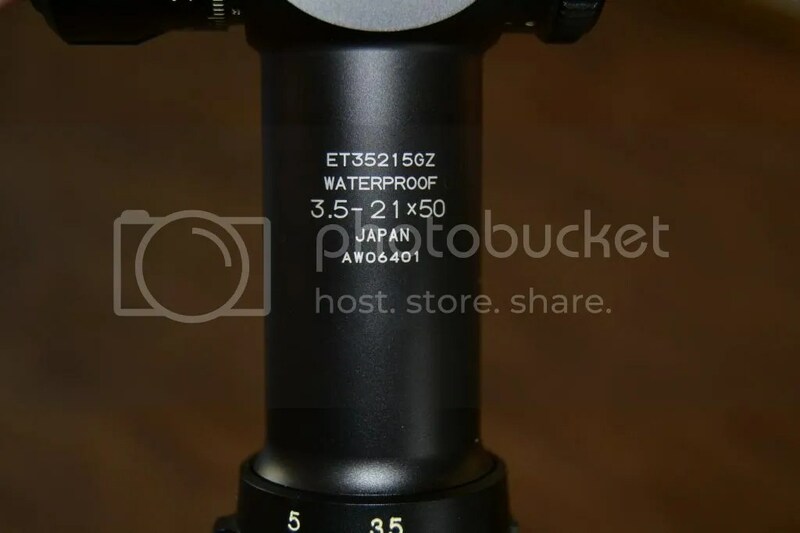 Tactical users have different needs and for them the max of 21x may make a lots of sense but my needs are different and so I found the max magnification to be a little wanting. At this point it may be appropriate to mention something for newer shooters : over the years I have seen a lot of people buy into the idea that if something is used by military/law enforcement it must be what they want only to find that it doesn’t really work for them. Whether it is a 10″ barreled AR that doesn’t print well at 300, or an expensive S+B 3-12 scope like the US Marines use that does not allow the user to see bullet holes out past 100 isn’t the point – the point is buy what is best for your needs rather than what looks ‘just like they use’. 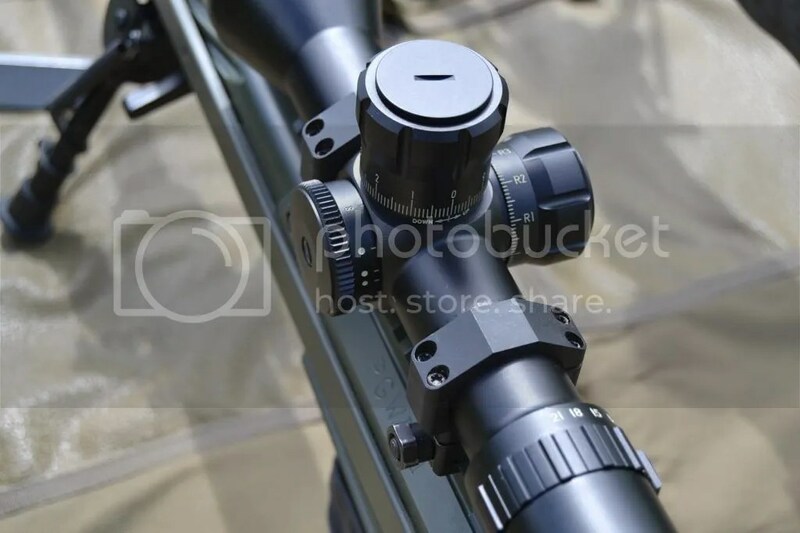 Glass Clarity: Honestly I’ve always thought Bushnell put good glass into their scopes and with this top end product they really have made a statement – the glass is excellent and provided a crisp, clear image with no distortion. I did find the S+B to be a bit better during mid-day when mirage was high and as light faded at days end but we are talking marginal stuff here and from a much pricier offering. As mentioned above, I had a NF and Leupold Mk4 out as well and the Bushnell was every bit as good as those proven scopes and holding its own is such good company is no small feat. Conclusion: I liked this scope a lot – I can see how someone who had a tactical application in mind would easily shortlist this scope. 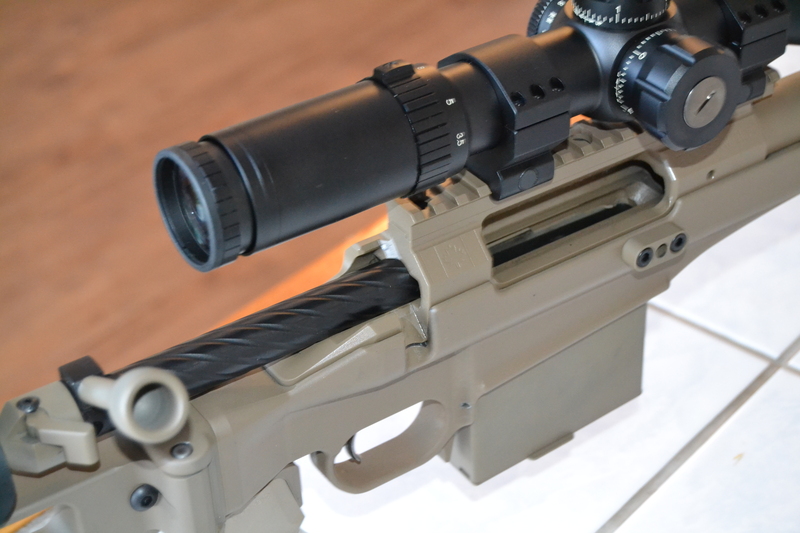 Excellent glass and overall very good controls would make this scope a real contender. The G2 reticule was easy to use and certainly appealed to me – in fact it may be the best I have used but I’d need more time with it to be sure. It really is that good. Lastly, as much as I hate to say it, the FFP really grew on me – so much so that I am not sure I can continue to say that I am a dyed in the wool SFP guy. Having spent a fair bit of time shooting off a bipod, I have a view – likely shared by many – that the perfect bipod probably doesn’t exist. I say this because inherent in the darn things are a compromise – a tug of war if you like – between stability and weight. 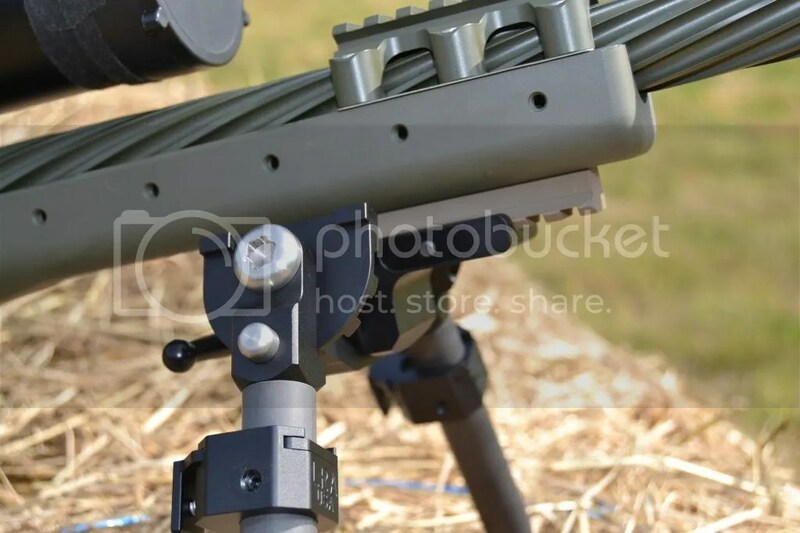 Even though that’s my opinion, I am always interested when a new product comes to my attention and so it was with the LRA Light Tactical bipod (long-legged version) which is available in Canada through PGWDTI. Dealing with PGW is always a really good experience no matter what you are buying as, without exception, the service is the very best and so it was in this case. 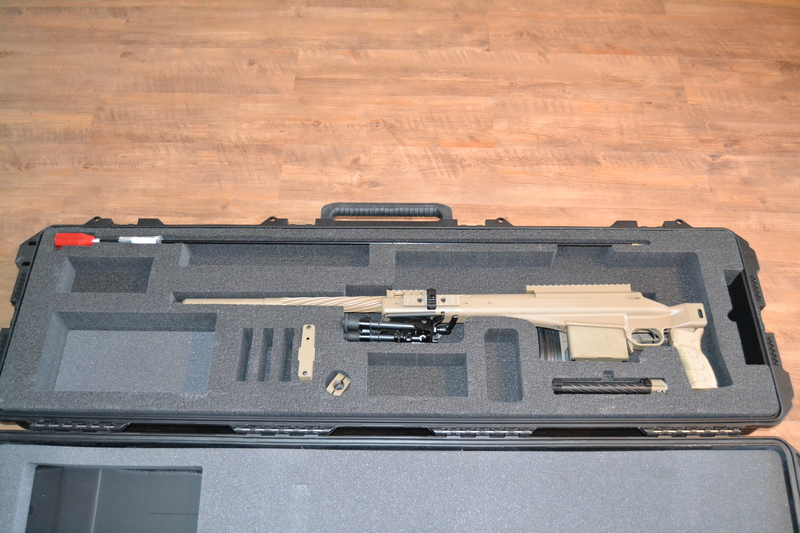 An email inquiry was made and – by return courier – the bipod in question arrived. There are a few other really excellent dealers out there but none – not a single one – can exceed the level of customer service that PGW offers to customers. 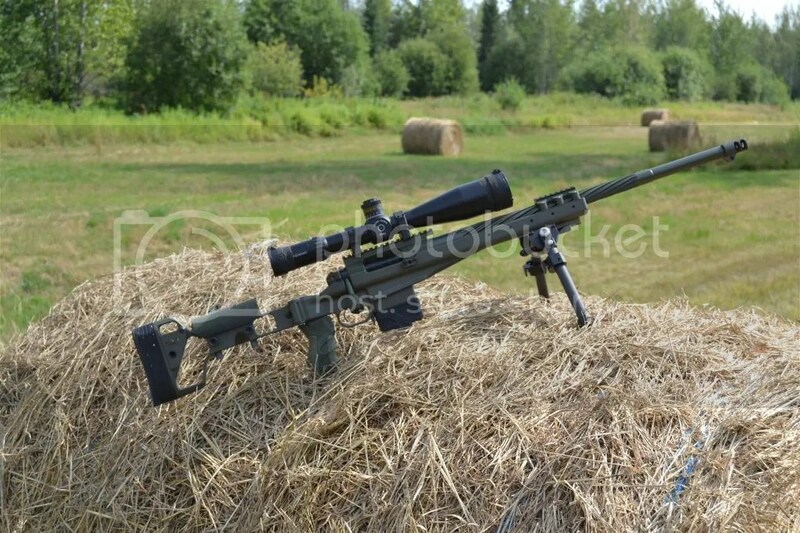 For the shooting part of the review I dragged a couple of rifles out to the hayfield along with the test mule. 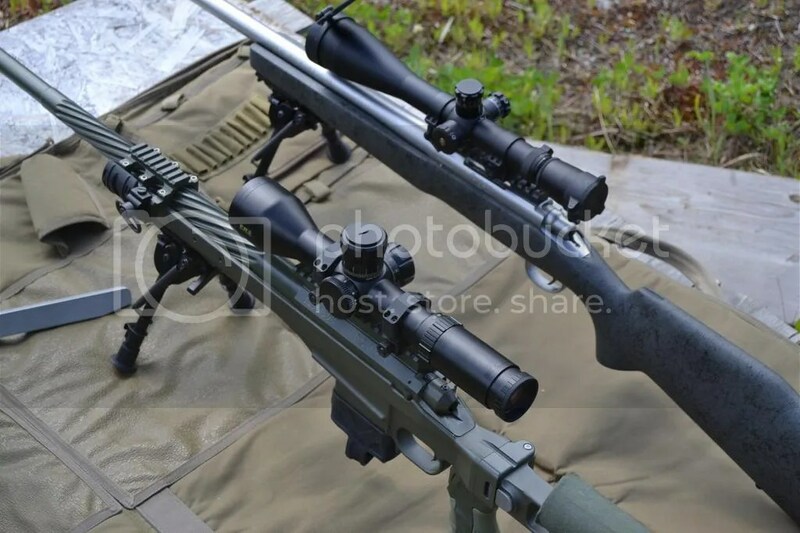 I wanted to have a real-time comparison rather than simply going off memory and therefore one of the other rifles had the ubiquitous Harris S attached to it while the other wore the Versa Pod. The bipod under review is manufactured in the USA by Long Range Accuracy and made out of aluminum and carbon fibre the bipods come in three flavors; light tactical (which I have ); light tactical with longer legs and F-Class competition. Interestingly they are all priced the same in the US at $450USD. 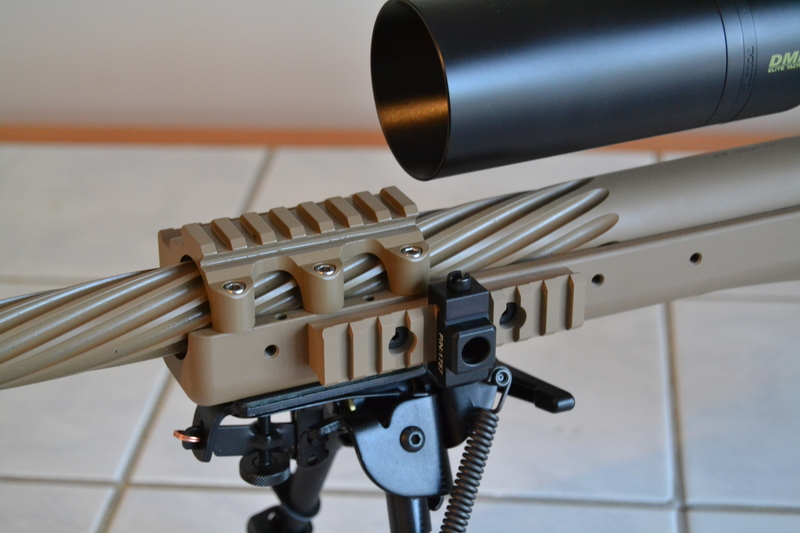 As with many items these days, the LRA bipods are subject to export restrictions from the US. Long Range Accuracy do not have a current website but can be found on Facebook though, according to what I have read, they don’t usually return inquiries. 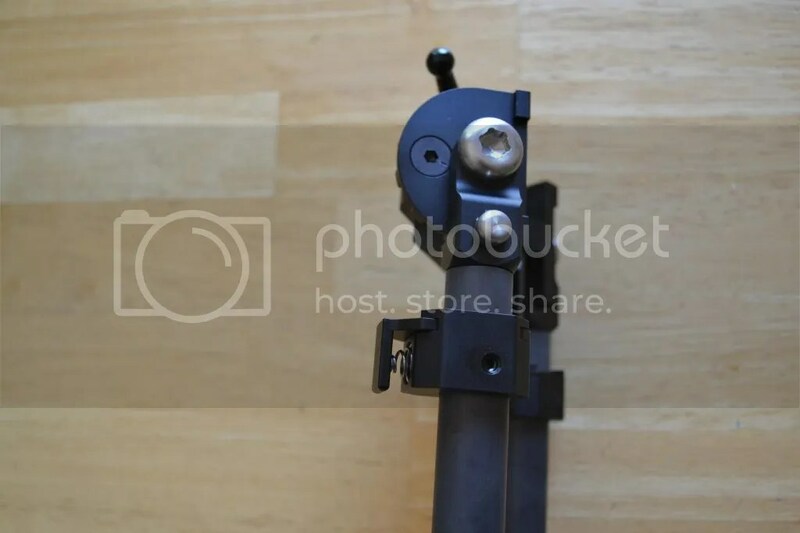 Fortunately for us here in Canada PGW carries a supply of these bipods and they price them most competitively – which brings me to the first comment: Price. 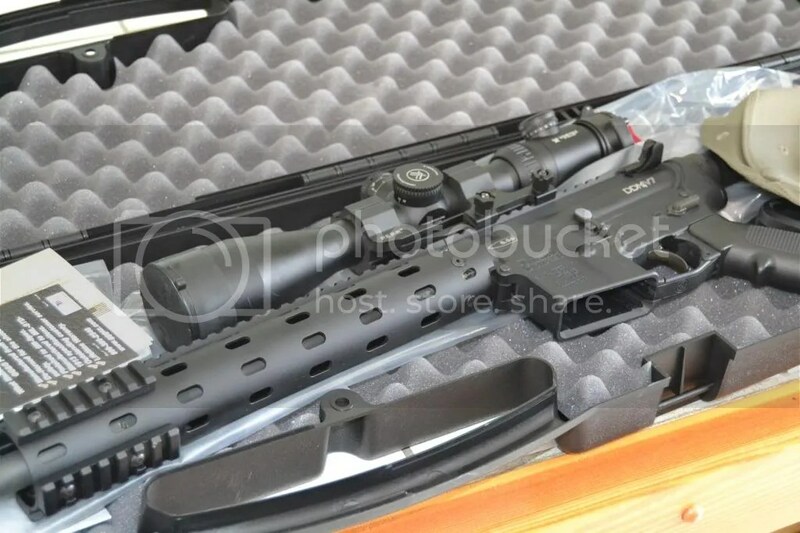 Price: As mentioned above these bipods retail for $450 in the USA ( seemed a standard price – I saw no discounting ) and PGW sells them here in Canada for C$450 which represents a great deal – anyone who buys firearms accessories will appreciate how often the Canadian price is much, much higher than the American one. 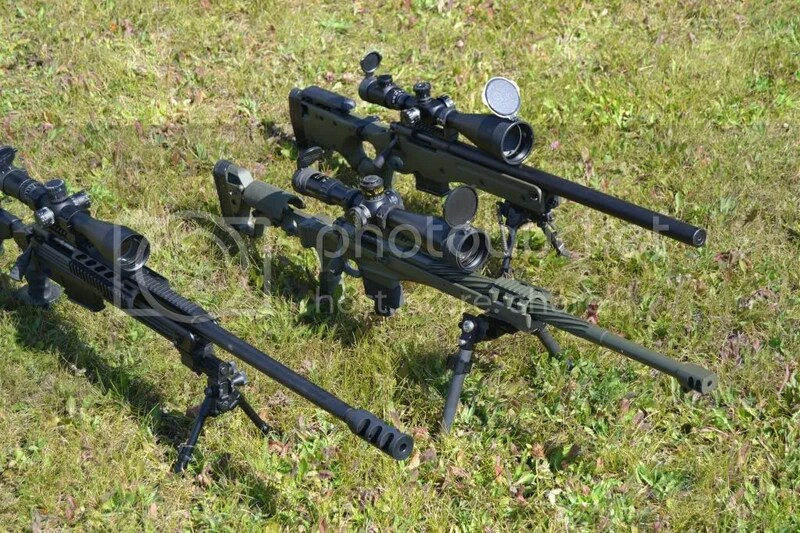 Having said that, $450 is a lot to pay for a bipod – to put it in context that money will buy three Harris S bipods or two of the MPOD’s sold by Mystic Precision – and, if my memory is correct, $450 is about the same price as the Cadillac of them all – the excellently engineered (but heavy) Remple. So, we are dealing with a pricey bit of kit which means that I am going to be more picky than usual as my tolerance for flaws or shortcomings definitely goes down as the price of the item goes up. Dimensions*: For the shooting I mostly do I consider weight of the bipod to be perhaps the most important consideration and the LRA weighs a very svelte 1.4 lbs and has legs that go from 6.5 to 9.5 inches. 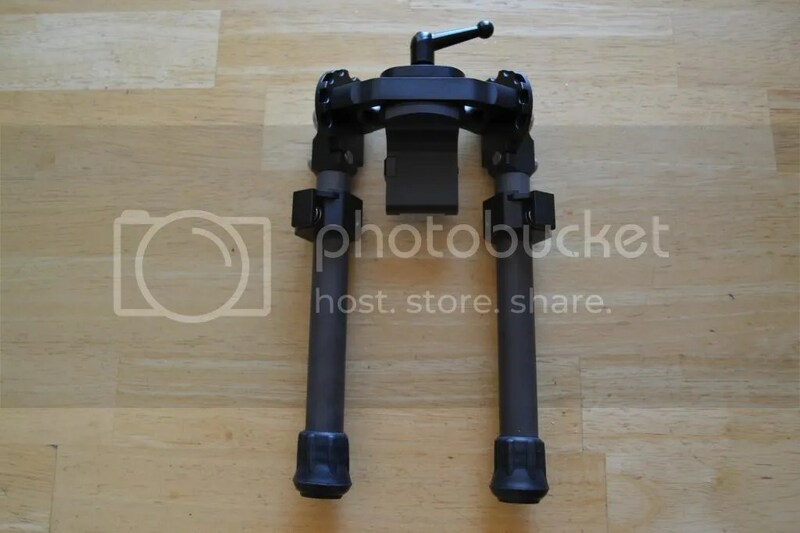 At the end of the legs are rubber feet ( like a beefier version of Harris feet ) which are fine for most shooting but I am unaware of an option of claws and/or skids such as offered by Vera Pod. I will say that offering only one type of footing is a negative -Yes, I’m being picky but for $450 I’d like to see an alternate to the rubber feet. 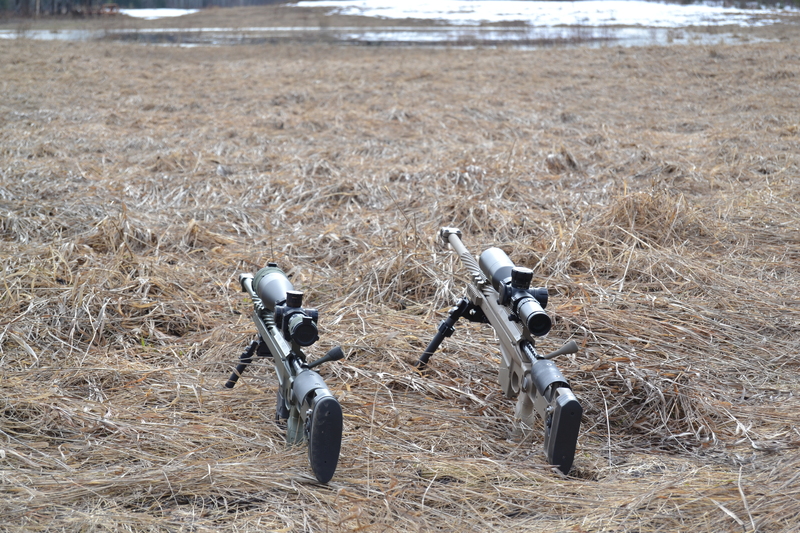 The bipod will swivel or, more correctly, cant a total of 10 degrees and the legs can be positioned at 0 degrees, 22 degrees, 45 degrees and 90 degrees. It is, however, a wide bipod – which is good and bad – the good is that it gives you a wide stance of up to 15″ with the legs fully extended but the bad is that all closed up it still adds to the overall width of the rifle and makes the rifle – at the widest part bipod leg to bipod leg – nearly 5″ wide which, if your gun safes are like mine, makes storing rifles with accessories attached a bit tricky. * note on leg measurement – what I write above is what I measured with a tape but US resellers give slightly different data on their websites. 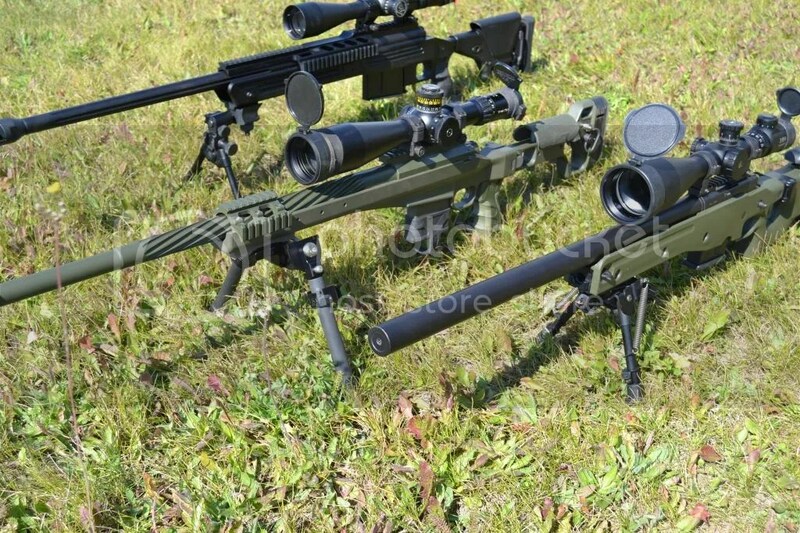 Build Quality: I am advised that these bipods are made out of 6061 T6 Aluminum and that they are coated with a mil-spec (whatever that means) anodized finish. I will say this – it is beautifully made and the finish is smooth and even. I know it is trite to say, but when I first handled this thing I thought that it was a very well made piece of engineering that just feels like a quality item. When the legs, which are push button controlled, are locked into place there isn’t any unacceptable movement and everything is super-smooth (and quiet) to operate. 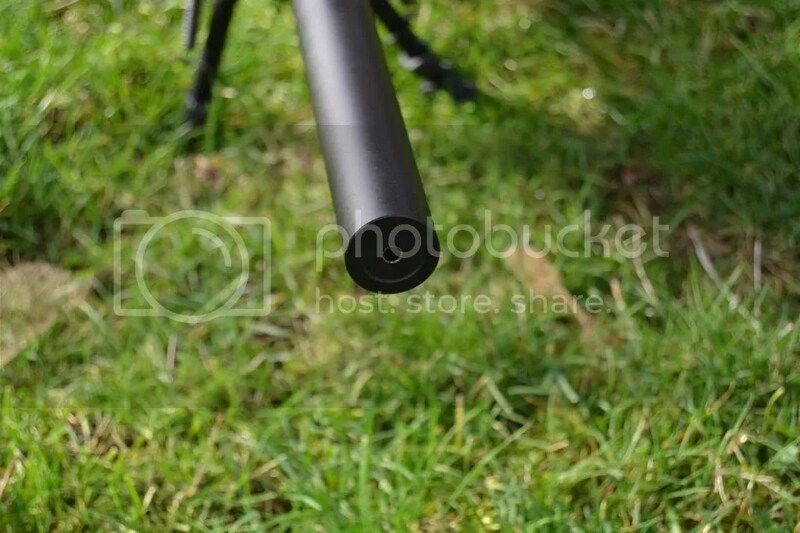 On this bipod there is nothing rough, no tool marks, nothing feeling ‘cheap’ and no quirky messing about trying to figure out how to put it together – open the box and attach to a rifle and……….wait a darn minute there……..attach to a rifle. Mmmmm. Attaching To Your Rifle: So there I was all gushing about the new toy when I realised that attaching this thing to a rifle isn’t so easy. Only have a sling swivel ? Have an Anschutz rail ? Well in either of those common instances you are, to use a technical expression, “well and truly foooked” because this great piece of engineering will – according to the literature – ‘attach to any rifle with a six o’clock Picatinny rail‘ which of course begs the question; how many precision rifles do you have with such a six o’clock Picatinny gizmo ? I have the grand total of one – my PGW Coyote with aluminum folding stock and even that was not part of the standard, factory, offering but an add-on. 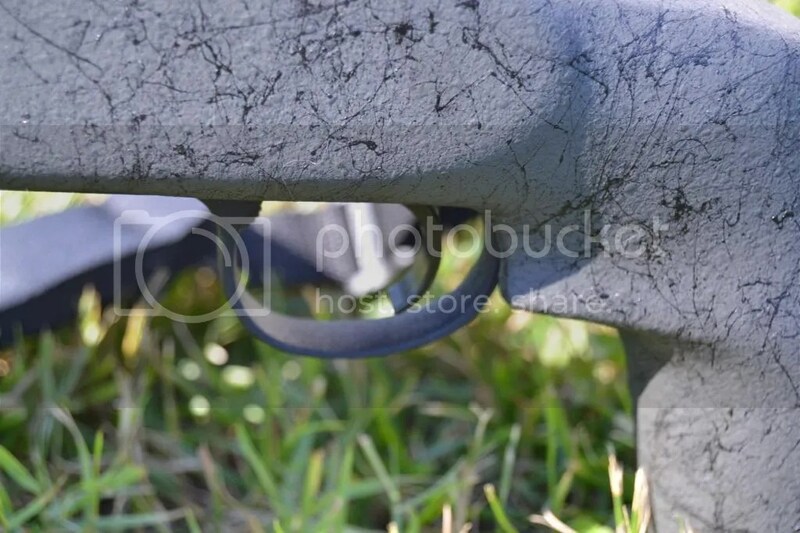 My others rifles all lack this piece of aluminum magic so my plan of using this on a F-Class rifle has to, at least for the present, take a back seat. However, since the Coyote has the all important rail do-dad, the review can proceed. 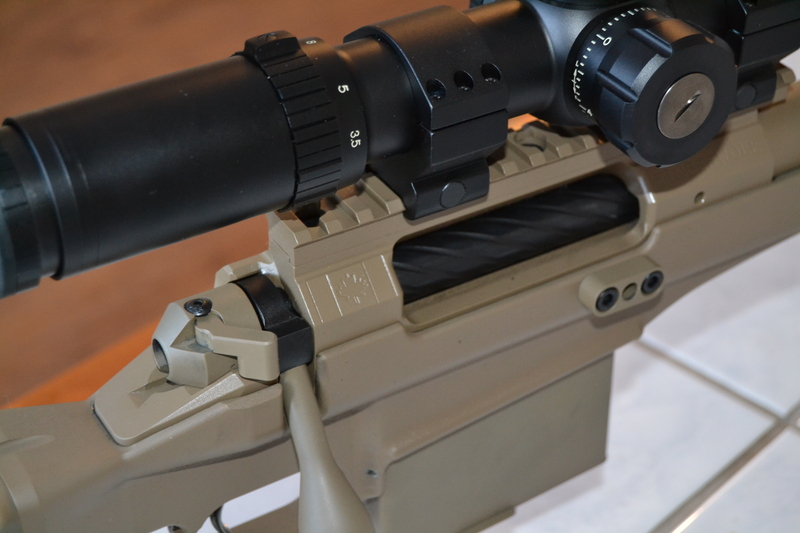 Once a suitable rifle can be found attachment of the LRA is quite simple – loosen crossbolt with Allen key slide on bipod and retighten. Apparently there is a sort of quick-detach accessory available but I haven’t seen it so I can’t comment but, really, it is plenty fast enough as it is. Under The Gun: Shooting is where it all comes together or falls apart and, as expected, this bipod really did shine for the shooting part of the exercise. 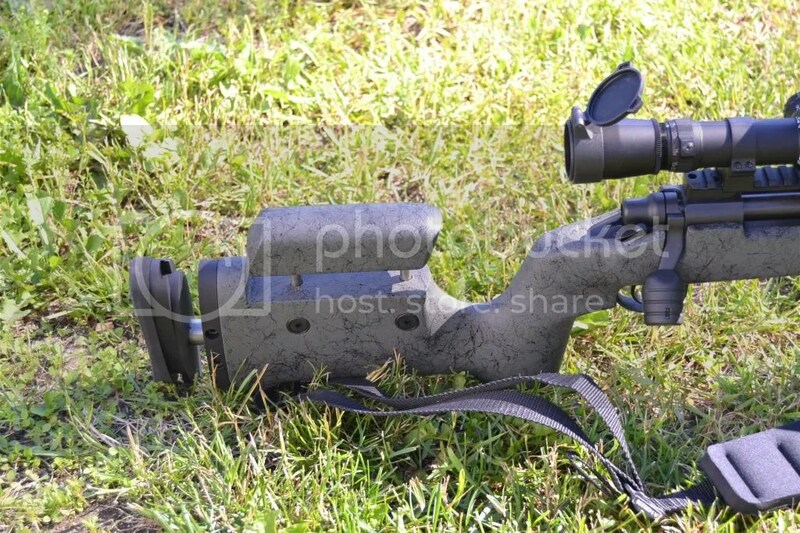 No matter whether the bipod was loaded or not, it was super solid. I shot with its legs closed and extended and even and uneven. I shot prone and standing with the rifle rested on a round bale and nothing happened to cause me to loose any confidence in this bipod. It was clearly superior to the Versa Pod and Harris for stability and, honestly, it was as solid to shoot off as my Trakker or Remple. One handed adjustments for cant were easy (like with a pod-loc equipped Harris ) and one handed leg-adjustments were also possible. The legs are notched ( which I like ) but that does of course mean you cannot have a finer adjustment than the pre notched positions. 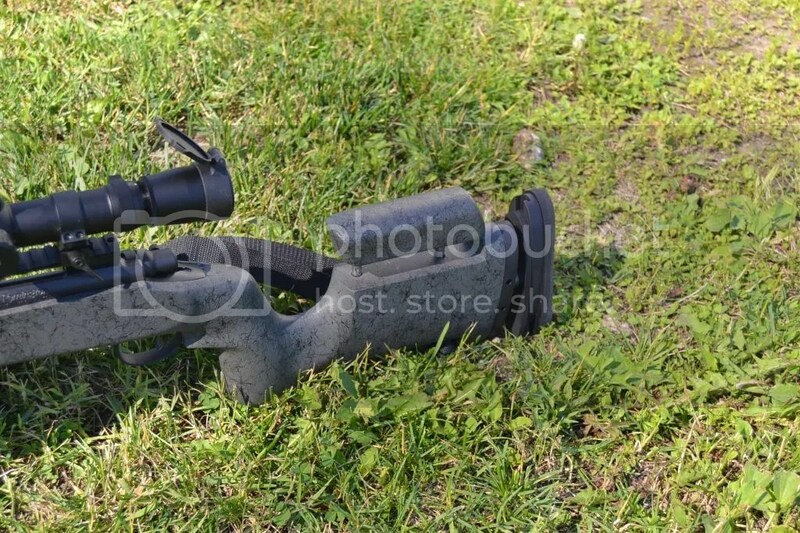 Conclusion: This is an excellent accessory to own for the shooter who wants a very good quality bipod. The three negatives are: can only attach via a picatinny rail, rubber pads only foot choice and quite wide when folded up. Of these three it really only is the first one that is an issue. Clearly, the LRA is designed and marketed with the Tactical Rifle in mind and in this role I will say it is the best tactical bipod I have used – period. For F-class, it isn’t as good as a true F-Class bipod like the Remple but, having said that, I think it could easily work for that game and its’ weight might make it a real viable option for those F-Class shooters concerned with weight. 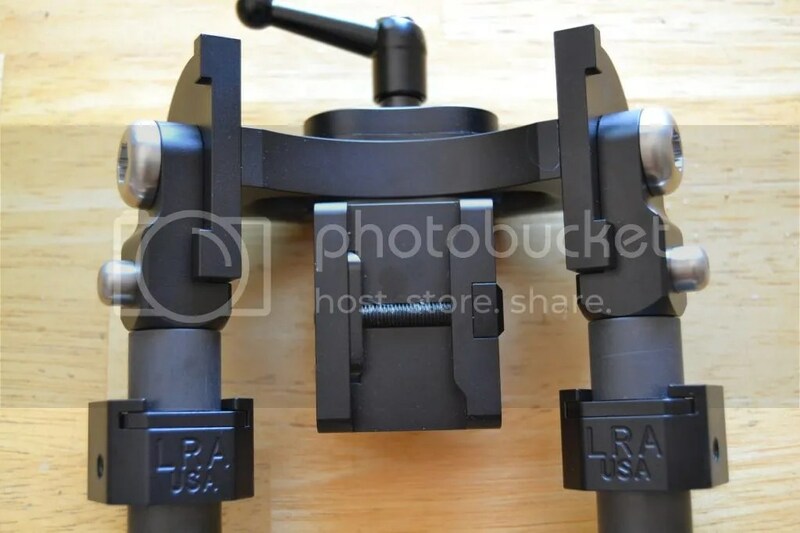 **Edit – another shooter has pointed out that claw and led feet are actually an available option through EuroOptic ($70 US) and I know that ATRS offer a Picatinny rail adapter for Anshutz and I think that costs about $50 or so. For quite some time I’ve been impressed with the overall quality, fit and finish and the accuracy of rifles from PGWDTI out of Winnipeg, Manitoba. Each of the various PGW Coyote rifles I’ve owned – both the McMillian A5 and Aluminum folder versions – were/are serious half-moa capable as was a very fine F-Class rifle I’d previously owned that was built on an early PGW reeiver. 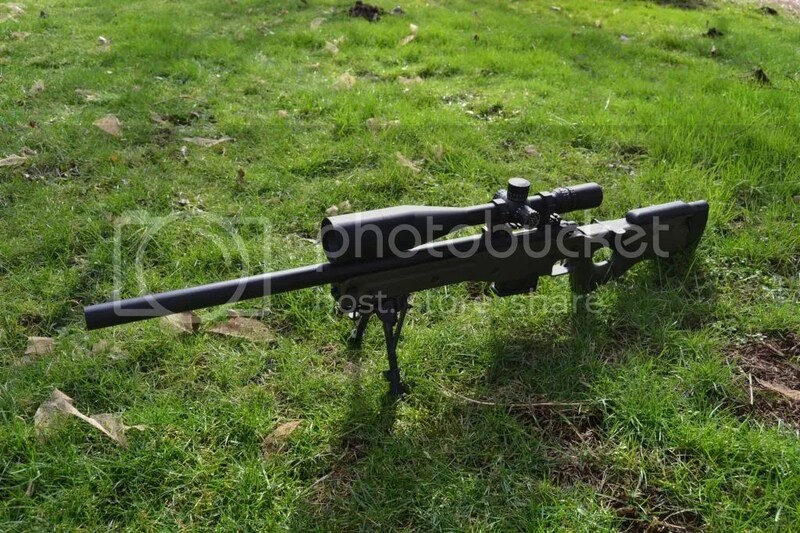 This history with PGW meant that when I found myself able to upgrade my .338 Lapua, the PGW Timberwolf rifle most certainly made my short-list of potential replacements for the Savage 110BA that I’d decided to re-home. Made in Great Britain the Accuracy International – As I’m a Brit by birth, the ‘Old County’ offering has a real, emotional, appeal to me but one doesn’t usually buy such an expensive piece of gear on emotions alone. Fortunately AI can rely upon a reputation of extreme ruggedness and accuracy rather than any emotional draw to sell its rifles and no serious, informed, shooter could argue that AI are not amongst the very top-tier of firearms. I’ve been fortunate enough to handle and spend sometime behind the wheel of an AI and the word ‘nice’ would be an understatement. Made in the USA the Barrett 98B – never owned one nor, indeed, ever shot one – hell, come to think of it I don’t even thing I’ve seen one – the Barrett made the list on looks and reputation alone. 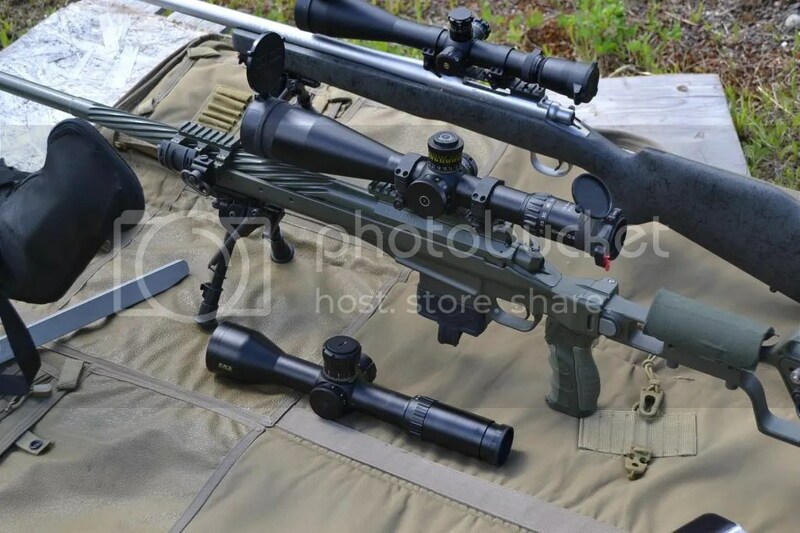 Each of the rifles under consideration was available from reputable dealers in Canada and, while none of them are cheap, they are priced comparably. Why factory ? 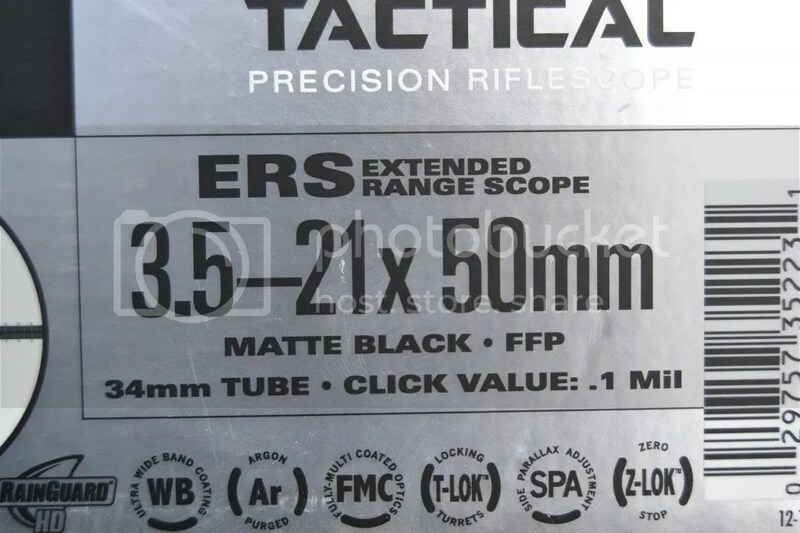 Well, while I have a number of nice customs – ATRS, Tac Ord, North Shore Barrels and others have all made fine, very fine, rifles for me – I chose to go factory as, quite frankly, at this level of expense I feel the premium brands hold value better than customs and, while no-one plans to quickly resell, it is nice to know there is some liquidity and value retention to purchases. I expect opinions to differ on this subject and I’m just sharing mine. So why the PGW Timberwolf ? It honestly came down to three things; firstly, I really do like the way each of my Coyote’s have shot and at the end of the day it is very hard to argue with a track record of accuracy. Secondly, while the other rifles are backed by quality Canadian distributors the PGW’s are made here in Canada and so it ought to be the case that parts and service should be easier and, lastly, the level of service I’ve previously received from PGW cannot be bettered. No matter what I’ve asked about or been interested in, the service from Ross has been simply first-class and service goes a long, long way with me. Decision made to buy PGW the rest was the easy part. I’d previously decided that for me the PGW folder was the better option that the excellent McMIllan A5 and so the only other thing to decide was the colour and I chose desert tan. All decisions made, a telephone call to Ross and a Timberwolf was on the way to me. The Packaging and Delivery ? – I know some people don’t really care whether it arrives in a box or case or whatever and that packaging isn’t important but it is for me – no matter what I’m buying – and if someone cares enough to properly pack something up then I draw a pretty positive conclusion. My new PGW arrived in a well packaged and sturdy box via courier with signature required. What Comes With The Rifle ? – My rifle came with 2 magazines, muzzle brake, cleaning rod, a Harris Bipod w/Podlock and an owners manual. 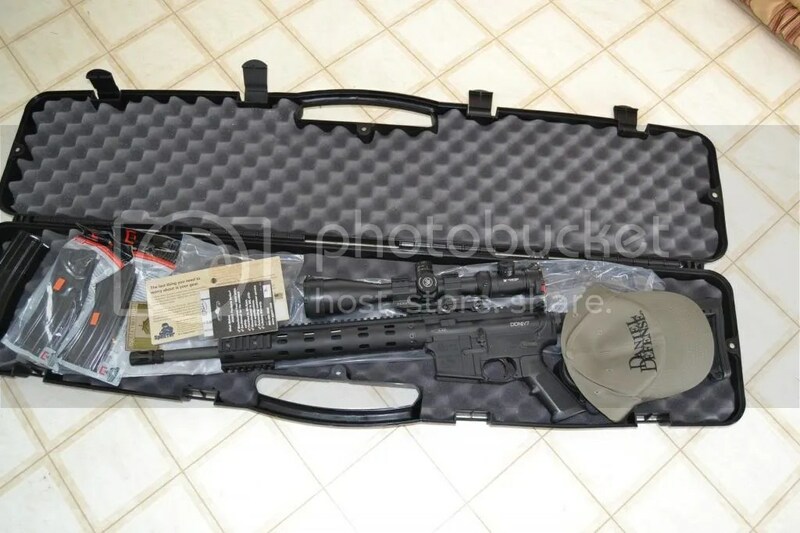 The rifle came properly fitted into a really nice Pelican case that has spare compartments that allow for the storage of additional magazines, the muzzle brake and ( I suppose ) the optional suppressor that sensible, non-paranoid, countries allow people to attach to rifles to moderate the sound. Fit and Finish ? – Here is where I am notoriously picky; I go over things carefully and my tolerance for uneven finish or other poor work is on a sliding scale in accordance with what I paid. In my opinion rifles in this price range better be perfect or darn close to it (incidentally, readers who may think I am a fanboy may recall the picaune criticism I leveled at PGW over the loose magazines on my first Coyote) and I am very pleased to be able to report that the Timberwolf finish is flawless with only some marks on the magazine that look to be from insertion and re-insertion which was likely during barrel break in. Ergonomics ? – Readers may want to look at my previous reviews on the Coyotes for more detailed information on this subject but suffice to say that I find that the PGW folder is a really good fit for me – the folder locks up tight and the cheekpiece is height adjustable and once set won’t move on you. The fold is to the right which allows for a flatter storage than the left ( which, oddly, I used to prefer ). Spacers allow for a LOP adjustment and the pistol grip is a AR style that can – should one wish – be changed out for the grip of choice. One caveat that I will mention about the PGW folder is this: using bean bags or similar rear support the folder works perfectly but if you are a ‘bunny ear’ rear bag user then the A5 will work better for you. Operation ? 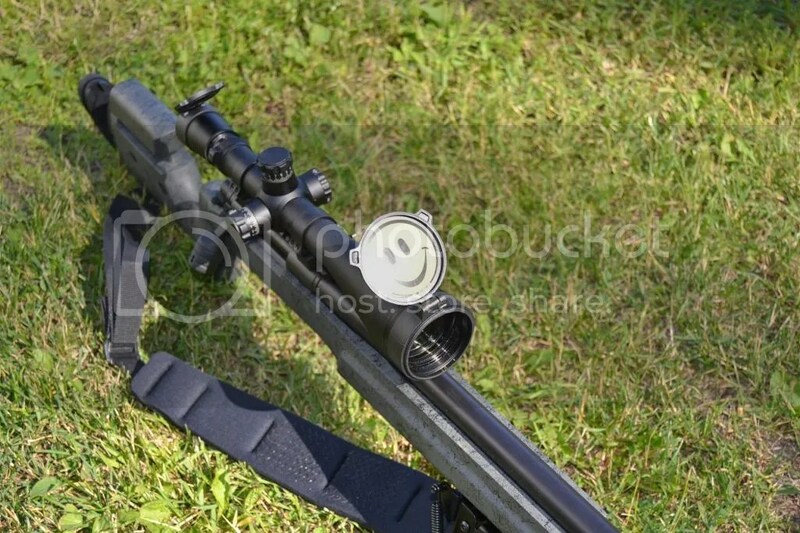 PGW rifles use a push feed system with a 90 degree rotation and oversize bolt knob. The safety is of the Winchester Model 70 three-position wing type with middle ‘safe’ position and the barrel is a free-floating Krieger with a 1:10 twist with the helical pattern fluting which gives this rifle (and the Coyote) such a distinctive appearance. As with every PGW I’ve handled, the bolt is ultra smooth and closes up like the proverbial bank vault. Anyone who thinks that a tuned Remington will be just as nice is, quite simply, wrong – I have two beautiful customs built on tuned 700 actions and while both are half-minute guns neither is as smooth as the action made by PGW. Trigger operation is crisp and clean but it isn’t as light as one would expect on a custom range rifle – this is not surprising when you appreciate that PGW builds rifles that are designed for real world service not just range work. 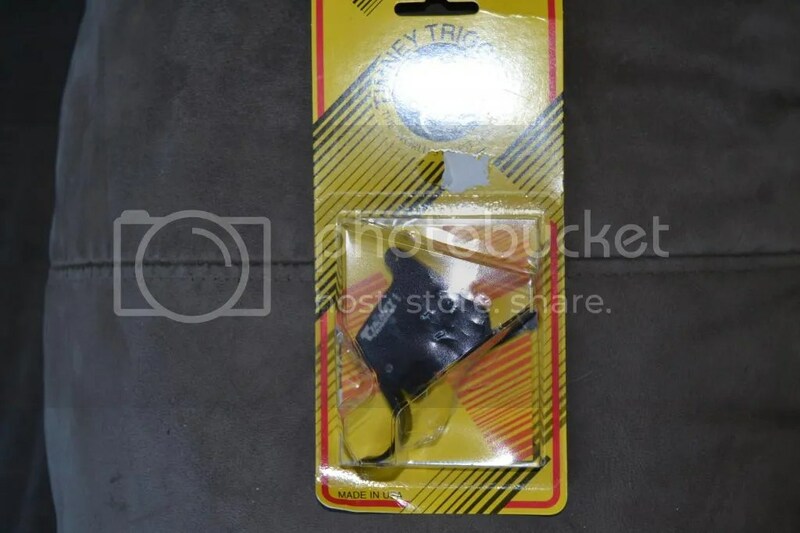 I’ve not once experienced a problem with my Coyote trigger and haven’t felt the need to replace it so I am unlikely to do anything with the trigger supplied on my Timberwolf. The magazines supplied by PGW are proprietary and while I’ve sometimes wished they were AICS ones, the PGW mags are great quality, durable as hell and I’ve never had one fail. Capacity of the Timberwolf magazines is 5. Accuracy ? While my Timberwolf came with a Harris bipod I decided to change it out for the LRA – now there is nothing wrong with Harris which is light and easy to deploy but for me it doesn’t compare to the LRA for stability so that’s what I attached. Given that I have S+B and NF amongst my scopes it may come as a surprise that for the Timberwolf I chose to mount the Bushnell Tactical DMR 34mm tubed 3.5-21×56 FFP scope. I’ve traditionally been a high magnification SFP scope user but last year started to experiment with FFP and the Elite DMR is a very good scope for the money and seems well suited to what I want to use the Timberwolf for. So, how did it shoot – well, today was a zeroing and function testing day with all shooting done from either prone or redneck prone ( back of pick up ) but after getting my zeros and confirming that everything worked perfectly,I did a small amount of shooting for groups and the Timberwolf was easily able to print just outside an inch at 200m which is half-MOA territory and accuracy that exceeded my expectations for today as the ammo used was made up for my previous rifle chambered in this calibre. Overall if you are looking for a .338LM that’s built like a tank and shoots like a target rifle then the Timberwolf should make your shortlist. Hello Gunnies! For quite a few years I’ve been writing on a number of websites about all things to do with firearms, reloading and accessories. Hopefully all firearms enthusiasts will like this blog where my various reviews can be found in one place. Please feel free to leave comments and make suggestions. Keep scrolling down to find the stories and reviews that interest you the most. Keep them in the X – Ring ! or working class flat is the symbol of democracy.